With all the snow that we have had recently in Whistler, I realise I'm lacking in snowy settings in my folio! 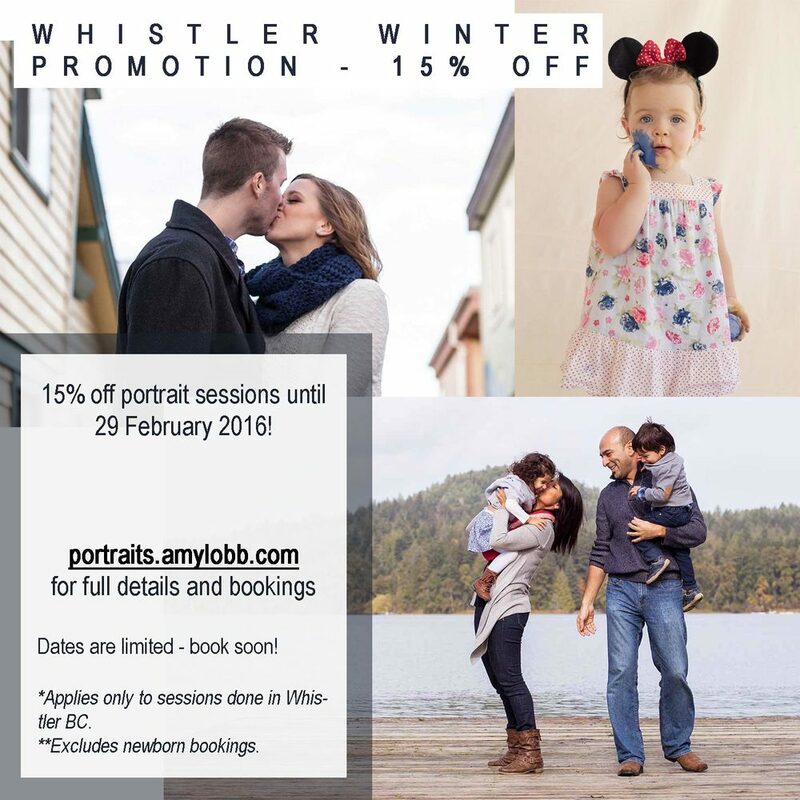 For the next 6 weeks (until 29 February 2016), I will give a 15% discount to any portrait session that takes place in Whistler BC. This promotion is only for sessions that will take place outdoors on location, so unfortunately it does not extend to newborn bookings (your newborn can be brought to a family session, but we cannot do newborn focused imagery). This promotion is not available for sessions done outside of Whistler. Please email me at portraits@amylobb.com for pricing details and available dates. Alternatively, fill in the form below. Make sure to specify dates you prefer. Look forward to meeting you and capturing a piece of your story! ** available dates are limited so please contact me asap to make your booking!